Day 1 - Arrival Day/ Benvenuto! Welcome to Italy! 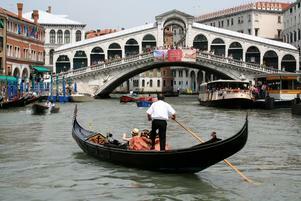 After arriving to the Venice Airport (VCE), the group will be met for our private transfer to the Island of Venice. Your accommodations for the next three (3) nights is in quaint boutique hotel set in the heart of Venice and close to restaurants and local transportation. 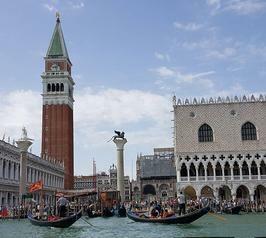 We'll begin with a fun and interesting but easy walking tour with a local Venetian. Here we take you on a different journey, away from the crowds, and uncover the most secret parts of the city. Learn about the history and all the mysteries that Venice has hidden in its narrow alleys and waterways. After breakfast at your hotel we'll meet up with our local guide for a private 3-hour tour of St. Mark’s square, the Basilica, Doge’s Palace, Bridge of Sighs and the Campanile (Bell Tower). Next we'll head over to the Rialto Market. Located near the landmark and famous arched Rialto Bridge (which you’ve probably seen pictured in countless photos of Venice), the Rialto Market, has been the historical place where Venetians have bought and sold goods from all over the world for over 900 years. This busy and colorful daily market stands in the commercial center of the city alongside the city’s famed Grand Canal. Venetian locals and international tourists alike frequent this centuries-old market for fish, fruit, and vegetables. Your private guide will fill you in on the history of the market, market traditions, and local foods & customs. Enjoy the rest of the afternoon for some free time to explore, visit a museum or gallery, or shop. Today we will make our way over to a few of Venice’s Islands: Murano & Burano. Murano is known its glassware shops and factories from a long-thriving tradition dating back to 1291. We will explore the island on foot and stop at a glass factory and watch a skilled glass blower create brilliant works of art. 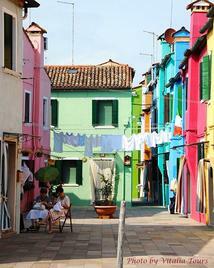 Time to shop or visit some other glass workshops before heading over to the island of Burano. The island of Burano is one of the most colorful and picturesque with fishermen's houses painted in bright pastel colors. Here, you’ll find the famous lace – abundant since the 16th century and once considered the most refined in Europe. Browse local shops and find lace on display at a museum dedicated to the craft of lace making. If your lucky, you might even catch one of the local women fast at work. - Optional Lunch* at an incredible restaurant where the fish doesn't get any fresher! This morning we will transfer to Florence - the birthplace of the Renaissance. 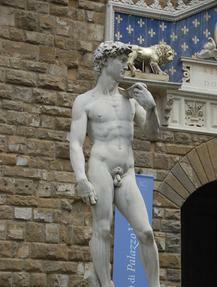 Upon our arrival you'll enjoy a private “Introduction to Florence” walking tour. On this 4-hour tour, we’ll be hitting all of the highlights while learning about the mystery, seduction, and history of Florence, which includes the Renaissance, its important noble families, and its famous artists. We’ll uncover the many secrets and treasures found within the historical walls as this tour lays out the foundation of what made Florence the fascinating city it is today. Then, check-in to your boutique-style hotel for the next 2 nights, set right in the heart of the historical center. Today you will explore Florence’s vibrant artisan scene. Florence's artisan culture is a rich one, based on centuries of traditions and skills. 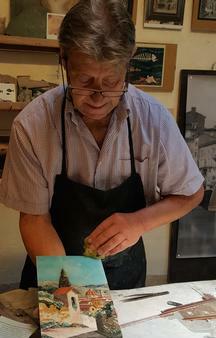 We’ll head off on a 4-hour private Artisan Walking Tour with our expert local guide – You’ll meet the people behind Florence's century-old handicraft and artisan production. We’ll visit shops “off the beaten path” and get an intimate look into their workshops while actually watching the artisans work. Goldsmiths, shoemakers, crystal, leather workers, hat makers, bookbinders, and stone mosaic creators…and much more. Of course you will have the opportunity to shop! After, we have lunch reservations at a lovely enoteca. The rest of the afternoon is yours: Experience Florence as the Florentine do, enjoying the cafés, restaurants, markets and shops. ​*Optional afternoon guided tours to museums or galleries. 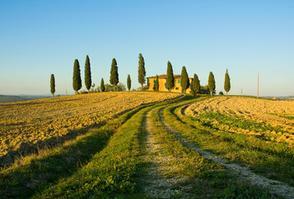 After breakfast, our private driver will meet us at our hotel to transfer the group to the Tuscan countryside. First stop: The Chianti region! This region of Tuscany made famous by the red wine of the same name, is a beautiful area of terra-cotta-roofed towns and winding roads leading through miles of vineyards, with cypress and olive groves stitching sun-dappled rolling hillsides – this is classic wine country. We'll stop at a local farm that produces olive oil, and wine. After our tour, we'll enjoy a typical lunch showcasing all their products. Leaving Chianti, we will make our way to our accommodations in the countryside for the next 2 nights– an agriturismo villa. After breakfast at our agriturismo, we will depart for a tour of two of Tuscany’s most famous towns: Montepulciano & Pienza set in the Val d’Orcia – what many view as the “quintessential” Tuscany. 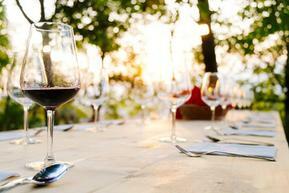 Montepuliciano – home of the famous Nobile di Montepulciano wines. Pienza – Birthplace of Pope Pius II. Pienza is also known for its many sheep farms producing the famous Pecorino cheese. After breakfast and checking out of our agriturismo, we're off to Siena. Once we arrive, we’ll meet our guide for a 3-hour private guided tour. We’ll uncover the symbolism, secrets, artwork, and diverse medieval, Gothic, and Renaissance architecture, including the Campo transformed twice yearly for the famous Palio horse race and the Gothic and Romanesque Duomo. 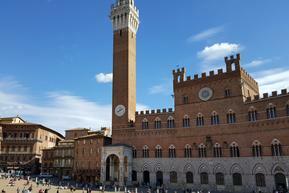 Siena's heart is its central piazza known as Il Campo, known worldwide for the famous Palio run here, a horse race run around the piazza two times every summer. Free time in the afternoon to grab lunch and explore on your own before we head off to Rome - our destination for the evening. 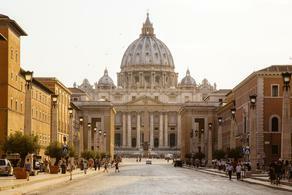 Check into your hotel for the next 3 nights - set right in the center of Rome, very near the Pantheon and Piazza Navona. Today is free for you to rest or take in some more sites. You can visit galleries, parks, museums, the various catacombs, shop, or just grab a gelato and people watch. The possibilities are endless. We could also schedule any additional tours or entrances for you. If you opt for the St. Peter's Basilica & Vatican Museums tour, we’ll begin the day with a “skip-the-line” private guided tour. This 4-hour tour gives a fascinating in-depth visit to the Vatican Museums, the Sistine Chapel, and St. Peter's Basilica with ample time to appreciate the wealth of the sacred and profane history, art and religious works contained within its fortified walls. We will explore the Vatican in its entire splendor with a focus on hidden symbols, secrets, myths and stories along with its poignant great works of art and their history giving you an insider's view that you will never forget. This morning we will step back in time as we explore the best of Ancient Rome on our 4-hour private tour of the Coliseum, Palatine Hill and the Roman Forum. We will dig through the layers of Rome’s history from its pagan roots through to Christian times. Our guide will weave fascinating tales of intrigue and power struggles, murder and ambition while at the same time highlighting the civilization and law, beauty and religious piety. Ancient Rome will be brought back to life with stories of emperors, philosophers and great politicians. Breakfast is provided depending on your time of departure. We'll say our goodbyes. Balance due: 60 Days prior to tour start date. Payment plans available.